Which states are the most and least stressed? Stress can wreak havoc on our health, potentially leading to such issues as insomnia, high blood pressure, and even physical pain. While few are impervious to the occasional bout of stress, a new study suggests your stress level may be higher depending on where you live. Researchers from WalletHub recently set out to discover which states were the most and least stressed in the country by looking at four dimensions of stress: work-related, money-related, family-related, and health and safety-related. Following a comparison of key stress “indicators” across 50 states and Washington D.C., analysts from the personal finance website concluded that the most stressed states were Alabama, Louisiana, and Mississippi, respectively. The researchers assigned different weights to various stress indicators, including average hours worked per week, income, divorce rates, and number of adults diagnosed with depression. Each state was graded on a 100-point scale, with 100 being the most stressed. 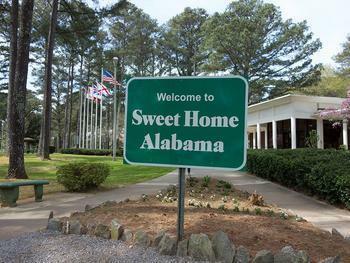 Consumers looking to keep it zen may be wise to avoid moving to Alabama any time soon. With a score of 56.91 out of 100, Alabama was the most stressed state. Results from the analysis suggest tensions related to work and personal life are high in the southern state. Alabama had the fourth highest percentage of adults in fair/poor health, the fourth fewest average hours of sleep per night, the second fewest psychologists per capita, and the second lowest credit scores. Other southern states also ranked among the most stressed. Louisiana, Mississippi, West Virginia, and Kentucky rounded out the top five. Minnesota -- with its high credit scores, low divorce rates, and generally healthy residents -- was the least stressed state, with a score of 31.07. Residents of North Dakota, Iowa, and South Dakota also seem to have a handle on their stress levels. The full results of the study can be viewed here. What stresses you out at work?